Kinross Gold’s production and revenue slipped during the third quarter, but the company said it will still meet its guidance for the year. 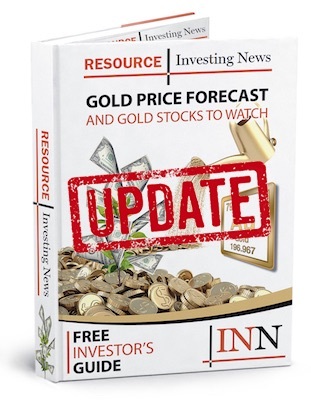 Kinross Gold’s (TSX:K,NYSE:KGC) gold output and sales were down in the third quarter, but the miner is set to meet its annual production and cost guidance, the company announced on Wednesday (November 7). The Canadian miner produced 586,260 gold-equivalent ounces (GEOs) during the third quarter, down from the 653,993 GEOs it garnered this time last year. Ounces produced were at an all-in sustaining cost of US$1,049 per GEO, compared with US$937 per GEO in Q3 2017. “Our Nevada, Brazil, Ghana and Russia operations performed well during the quarter and we remain on track to meet our company-wide production and cost guidance for the year,” stated Paul Rollinson, president and CEO. Kinross generated revenue of US$753.9-million in Q3, which is down from US$828-million a year earlier, thanks to lower output and a drop in the average realized gold price from US$1,283 per ounce to US$1,209 per ounce. The miner also announced that margins decreased to US$432 per GEO, down from US$621 per GEO during the third quarter of 2017. These lower margins, as well as an increase in income tax expense is what landed Kinross in the red, with a net loss of US$104.4-million, or US$0.08 a share, compared to Q3 2017, which garnered earnings of US$60.1-million, or US$0.05 a share. Despite the decline, Rollinson notes that the company’s portfolio is “solid” and on track. “During the first nine months of 2018, our global portfolio of mines achieved solid production and generated robust cash flow,” he revealed. Rollinson also stated that commissioning of the new SAG grinding mill for the Tasiast Phase 1 expansion had been completed and because of that, the mine’s performance would further improve throughout Q4, as it delivered record monthly production in October and began mining higher grade ore. The company also noted that during the period, it continued its discussions with the government of Mauritania regarding its operations in the country. “[Kinross has] now signed mandate letters with Export Development Canada and the International Finance Corporation, a division of the World Bank, regarding project financing,” said Rollinson. As of 11:43 a.m. EST on Thursday (November 8), Kinross was down 0.85 percent, trading at C$3.49.